Steve Jobs has something to teach small to midsize advertising, digital, media and PR agencies about pitching for new business. Every new business pitch should do three things: inform, educate and entertain. BusinessWeek.com columnist, Carmine Gallo, is a communications coach for some of the world’s most admired brands. He reveals the techniques that have turned Apple CEO, Steve Jobs, into one of the world’s corporate presenters. There are some helpful nuggets that will add punch to your next agency pitch. 1) Plan your presentation with pen and paper. Begin by storyboarding your presentation. Steve Jobs spent his preparation time brainstorming, sketching, and white-boarding before he creating his presentation. All of the elements of the story that he wants to tell are thought through, elements are planned and collected before any slides are created. 2) Create a single sentence description for every service/idea. Concise enough to fit in a 140-character Twitter post. An example, for the introduction of the MacBook Air in January 2008, Jobs said that is it simply, “The world’s thinnest notebook”. 3) Create a villain that allows the audience to rally around the hero—you and your product/service. A ‘villain’ doesn’t necessarily have to be a direct competitor. It can be a problem in need of a solution. 4) Focus on benefits. This is important for ad agencies to remember. Your audience only cares about how your service will benefit them so lead with benefits rather than agency credentials and capabilities. 5) Stick to the rule of three for presentations. Almost every Jobs presentation was divided into three parts. You might have twenty points to make, but your audience is only capable of retaining three or four points in short-term memory. Give them too many points and they’ll forget everything you’ve said. 6) Sell dreams, not your services. Steve Jobs didn’t sell computers. He was passionate about helping to create a better world. That was the promise that he sold. For example, when Jobs introduced the iPod in 2001, he said, “In our own small way we’re going to make the world a better place.” Where most people see the iPod as a music player, Jobs saw it as a tool to enrich people’s lives. 7) Create visual slides. There were no bullet points in a Steve Jobs’ presentation. Instead, he relied on photographs and images. When Steve Jobs unveiled the MacBook Air, Apple’s ultra-thin notebook computer, he showed a slide of the computer fitting inside a manila inter-office envelope. Keep your agency presentation’s that simple. 8) Make numbers meaningful. Jobs always put large numbers into a context that was relevant to his audience. The bigger the number, the more important it is to find analogies or comparisons that make the data relevant to your audience. 10) Practice, practice, practice. 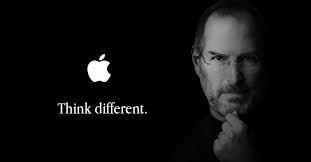 Steve Jobs spent hours rehearsing every facet of his presentation. Every slide was written like a piece of poetry, every presentation staged like a theatrical experience. Steve Jobs made a presentation look effortless but that polish came after hours and hours of arduous practice. Agencies often are forced to rely on spontaneity to provide creative energy for a pitch because they have spent all of their time on putting together the presentation and leave little or no time for rehearsal. Most unrehearsed pitches end up falling flat. By Michael Gass - Since 2007, he has been pioneering the use of social media, inbound and content marketing strategies specifically for agency new business. He is the founder of Fuel Lines Business Development, LLC, a firm which provides business development training and consulting services to advertising, digital, media and PR agencies.